Belmopan. 16th June, 2016. 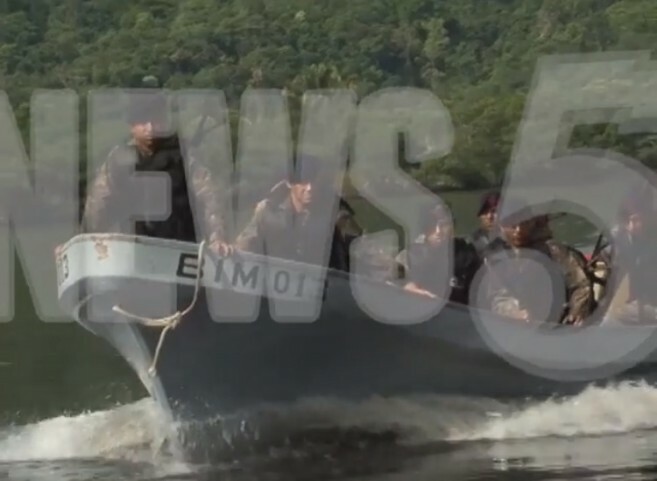 The Government of Belize has received an initial report that a Belizean vessel with two media personnel was traversing the Sarstoon River this morning when they were approached by a Guatemalan Armed Forces (GAF) vessel, with nine (9) GAF persons on board. The GAF personnel attempted to stop the Belizean vessel, which, reportedly, was traveling along the north side of the Sarstoon Island. The Belizean vessel was able to speed away back to Punta Gorda. GOB is investigating this incident in an effort to verify all its particulars including that the media vessel was in Belize's waters. In the meantime, Guatemalan authorities have communicated that they attempted to stop the vessel to inquire as to the reason for the taking of pictures of their naval base. GOB is thus seeking to confirm the details of the Channel 5 version of events. GOB makes clear its firm position that if the report is accurate, the incident would constitute a breach of the spirit of the Confidence Building Measures and must also be rejected as prejudicial to the ongoing diplomatic efforts, including next week's meeting in Washington, to establish a bilateral Cooperation Mechanism for the Sarstoon.